The Cinnetic Cautiva is probably best described as a Continental style rod. I bought the rod back last August, when I was offered it by my local tackle shop. They had bought it as a demonstration model, to only find out a couple of weeks later that the distributor had decided not to import them from Spain. At the time I thought there was little point in doing a review of it, if no one could buy it. 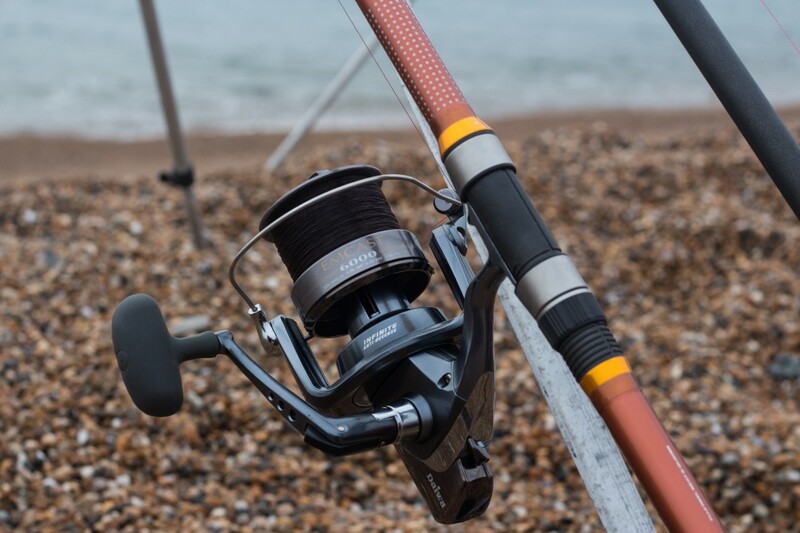 Since then the forward thinking people at Tronixpro, realised that it was exactly the kind of rod that was becoming ever popular in the UK, and decided to distribute it alongside their other range of tackle. My first experience with Continental style rods was while I lived in Spain. I used to go down to the beach with my traditional 12ft beachcaster and multiplier reel, The locals would look at me as though I was a madman. They all used much longer and slimmer rods capable of blasting 3 or 4oz of lead out a long way. I was always tempted to buy one, but as I had just bought two new rods, I couldn’t justify another one to the wife. 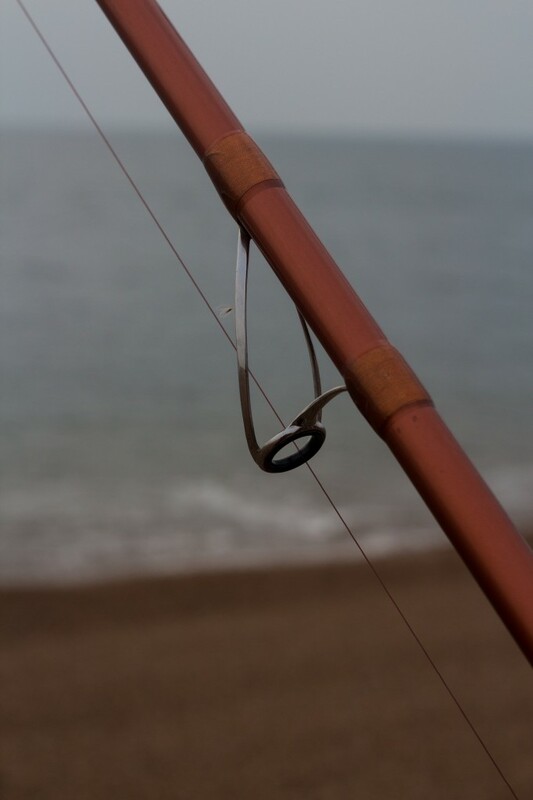 Throughout last year I was continually tempted to buy a rod that would suit some of the lighter fishing that I do, especially for targeting Whiting and flat fish, including Plaice on Chesil Beach. A number of my friends are active match anglers and several had bought the very impressive Vercelli Spyra Fiamma, they all raved about how great rods they are. However at almost £350, it was out of my price range for a rod that would only get about 20 outings a year. At around £200 the Cautiva was just in my budget. The rod is 14ft long and being made from 30 ton HMC carbon it weighs only 524g, and comes in 3 pieces. The casting weight is rated between 113g and 210g(aprox 3-7oz.). The fittings are all top quality with the impressive Fuji low rider guides and a Fuji reel seat. It is one of the first rods to be fitted with an ergonomically designed handle that is based on the handles used on hiking sticks. The whippings are of the highest build quality and each section has a guide line, to ensure that when fitted together all the sections line up perfectly. One of the most notable parts of the rod is the tip, to say that it is thin is an understatement. It appears to have a separate section spliced and whipped into the main blank. 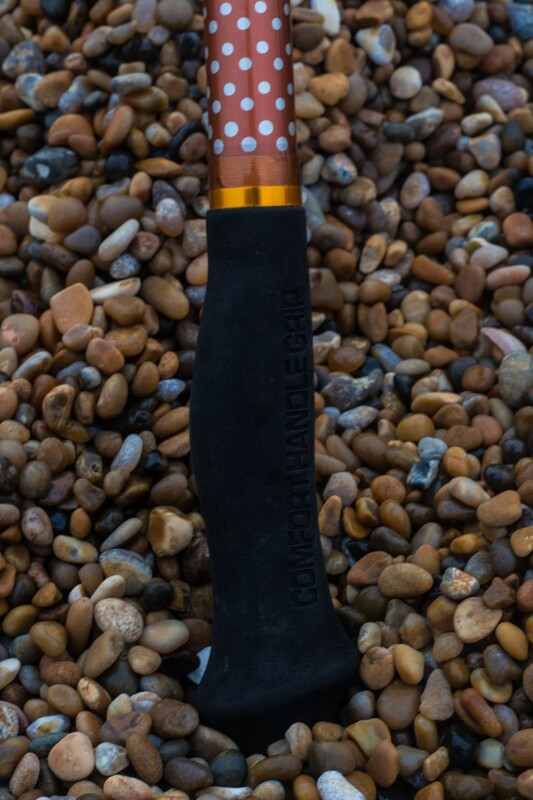 This gives the tip a softer feel which helps absorb wave action and provide exceptional bite detection. 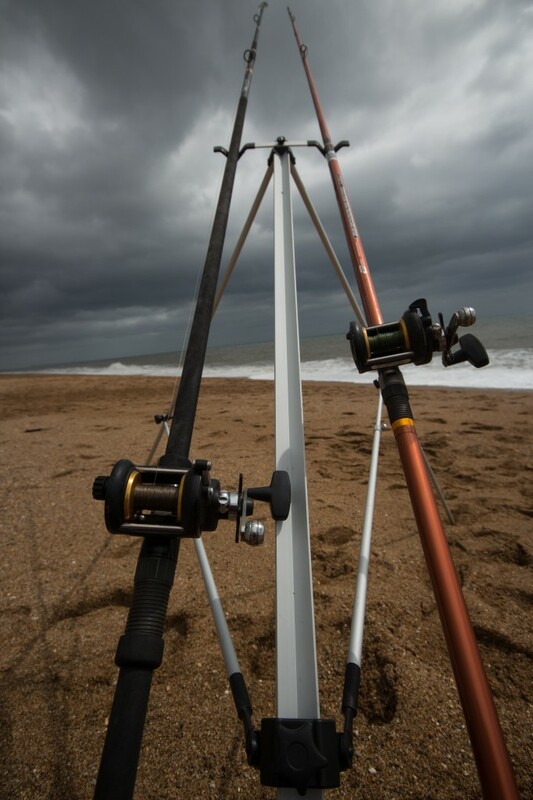 When it comes to beach casting I am a multiplier man, so originally I paired the rod with an ABU 6500 or a Penn 525. I was able to get a reasonable distance. I even tried full pendulum casting with it but to be honest I always felt that the balance was not great with a multiplier fitted, so for the first time in almost 25 years I started using a fixed spool reel. During the early days of testing the rod with the fixed spool I was using 15lb mono, and I was able to easily achieve the same distance of cast as with the multiplier. After about six weeks I decided to try it with braid. As it was still during the winter my initial thoughts were that the braid would have too little give in it and the lead would pull free. Due to the flexi tip this was not the case. With the exception of much rougher conditions it soaked up the wave action very well. With 30lb braid I was able to fire 3 and 4oz. leads easily over 100yds with little more than a flick. Bite detection on the Cautiva is incredibly good, even with the tip pulled over and set into tide. You can see bites from pin Whiting and Dabs, which make this ideal for match use. I was lucky enough to catch a couple of Smoothound around 7lb with it, and any fears I had about it not being able to cope with more powerful fish were soon laid to rest. Over the past eight months I have really tested this rod out in all sorts of conditions, to see how it would fair. I am not sure how they have worked out the rods casting weight as I would have rated it a bit lower. It is great with smaller leads, even down to 2oz. 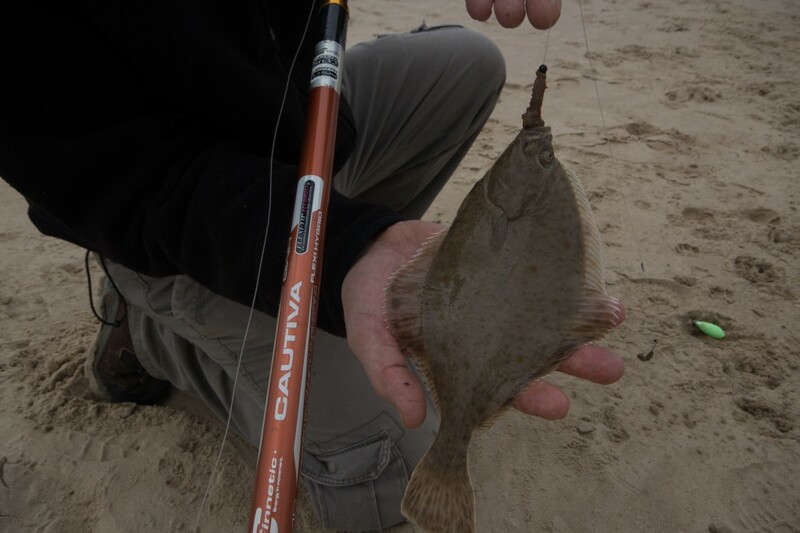 with bait, which is great if you are trying to roll a lead to find the dips where the flatfish are holding up. It is not as responsive at the higher end, and I would certainly not feel comfortable casting 7oz. with it. I would say that its optimum weight with braid is 4oz. of lead and bait. Once you hit 5oz. your casting distances drop off substantially. 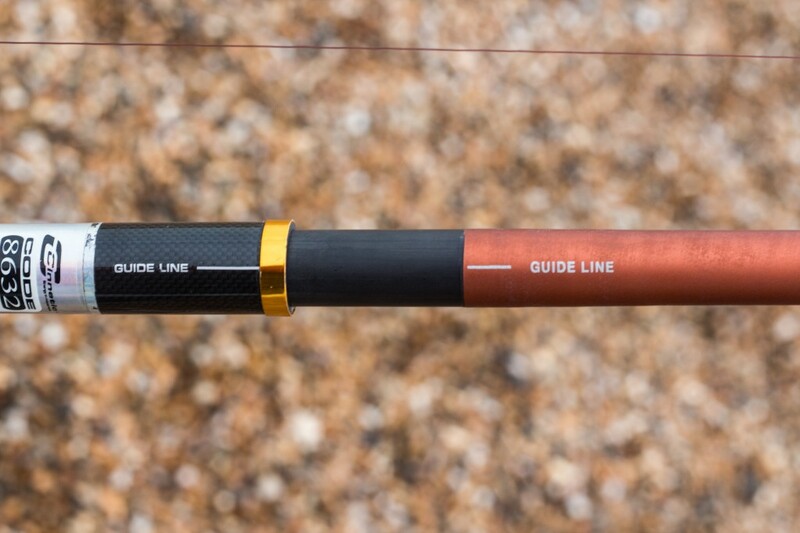 It is not an all round rod, as it would be almost useless fishing for Wrasse in the boulder fields of Portland, and when you need the power of 6 or 7oz. of lead to blast a big bait out in the teeth of a force 5 in the winter, then the rod is found wanting. However for general fishing and especially lighter work. I found it great for when I needed a rod that I could hold for long periods of time, which is something I do when I am Bass fishing on surf beaches. There is very little out there to touch it in its price range. I have included a short video on the rod that I took back in the early days of testing. Sorry about the sound quality, but hopefully it will give you a little bit more of an insight into it. In summary I have to say I love the rod. It has opened my eyes to a different style of fishing, that allows me to get lighter rigs out a lot further and search out gullies that would have been impossible using larger weights. I mentioned earlier that I would probably only use this type of rod about 20 times a year. That has gone out of the window as I take it on most fishing trips with me now. I think I have been converted to the much lighter continental style of fishing. 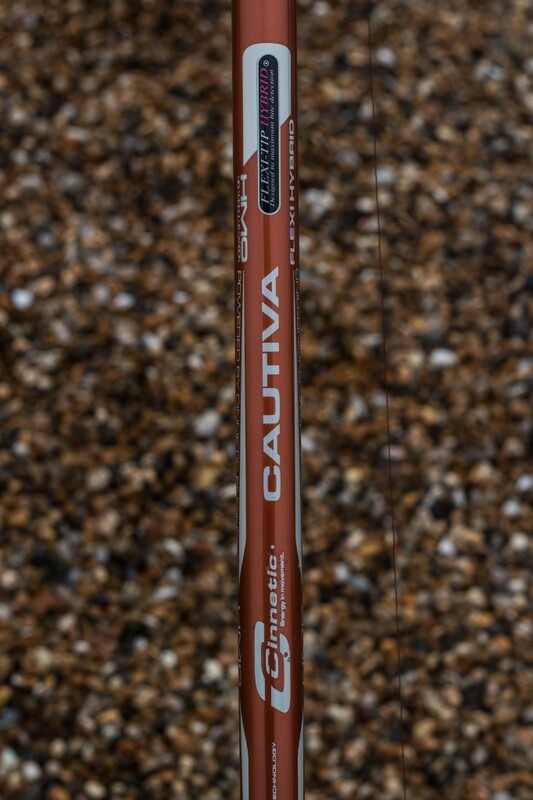 3 Responses to "Cinnetic Cautiva hybrid flexi tip surf rod review"
Hi Shaun, great video, how you finding the rod? Are you still using as frequently? Looks nice and I’m tempted but not many reviews online about these. Still loving the rod. 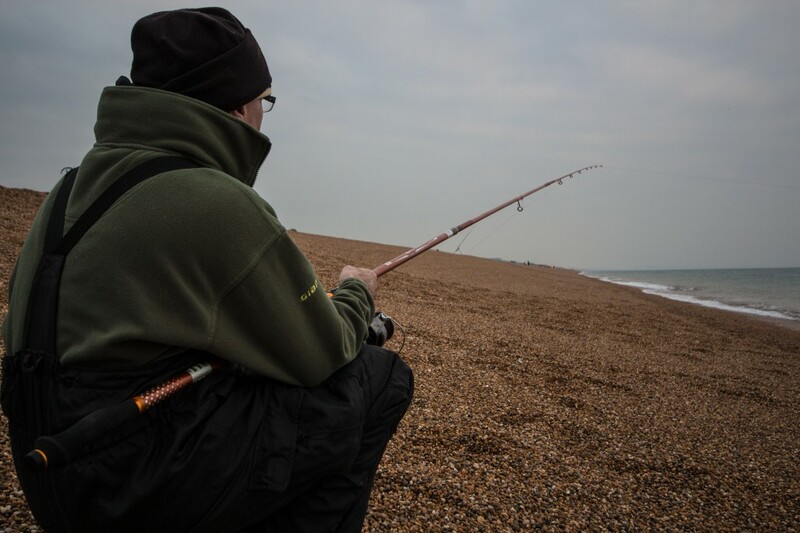 It is not ideal for this time of year from Chesil when you need heavy baits and leads. However for beaches like Preston it is great. I will be using it on Chesil as soon as those spring Plaice move in.